I was talking to my Year 12 Literature class this morning about Heart of Darkness, its initial critical reception and the polarising re-evaluations since, by Achebe largely, and others as well. It’s a part of the course called Literary Perspectives, that I initially had lots of reservations about (can we just stick to the text) but I’ve actually enjoyed teaching it and seeing familiar texts in new light. Later, as I was looking online for post-colonial and feminist readings I thought of a conversation I had with the poet and teacher Philip Martin a long time ago. Martin taught me at Monash University and I’ve written about him here before. On this occasion we were talking about the value of critics and I think I said that I liked it when a critic said something that I’d thought or felt, but said it in a way that I never could. He considered that and replied that, sometimes a good critic can make you see or feel things that you could never have thought of yourself. I liked that answer, and I liked teachers who do that too. All this made made me think again about Martin and his work. I’m the proud owner of three of Martin’s books, but they’re hard to find, and there’s not much available online. Philip John Talbot Martin was born in Richmond, Victoria on the 28 March 1931. He was educated at Xavier College, Kew, 1937-1950, and graduated with a B.A. from the University of Melbourne in 1958. Prior to his teaching career Martin worked at the Titles Office, Melbourne, 1953-1956, and as a Publication Officer at the University of Melbourne, 1956-1960. His teaching career began, firstly as a Tutor in English at the University of Melbourne, 1960-1962, followed by a position as a temporary Lecturer in English at the Australian National University, 1963. In 1963, he returned to Melbourne as a Senior Lecturer in English at Monash University where he worked until his early retirement due to ill health in 1988. During his teaching career he was also a Visiting Lecturer at the University of Amsterdam in 1967, Visiting Professor, University of Venice in 1976, and Carleton College, Northfield, Minnesota in 1983. He was a member of International P.E.N., Fellowship of Australian Writers, Association for the Study of Australian Literature, member and former Chair of the Poet’s Union of Australia, Melbourne Branch, 1978-1979 and 1981-1982 and Amnesty International. From 1962 Martin was a frequent broadcaster of poetry and features on Australian and overseas radio. He read poetry in Melbourne, Adelaide, Sydney, Hobart, Denmark, Sweden, Italy, Yugoslavia, England and the United States, and conducted several poetry workshops. He began publishing poems as a student at the University of Melbourne and his poems, articles and reviews were widely published in Australia, Europe and the United States in journals and anthologies. He broadcast both as a critic and poetry-reader, and wrote the scripts for several television features produced by the Australian Broadcasting Commission. New and selected poems (1988). Philip Martin died in Victoria on 18 October 2005. I remember Martin as a gifted, articulate, generous teacher who surprised me by revealing that poets really did live in the world. Back cover with brief biography. ‘Bequest’, the final poem in A Bone Flute, and fitting farewell. There’s much to be said, and has been written, about the virtues of walking in nature. I’ve written about it myself, read about walking, and it’s something that I’ve always connected with writing. 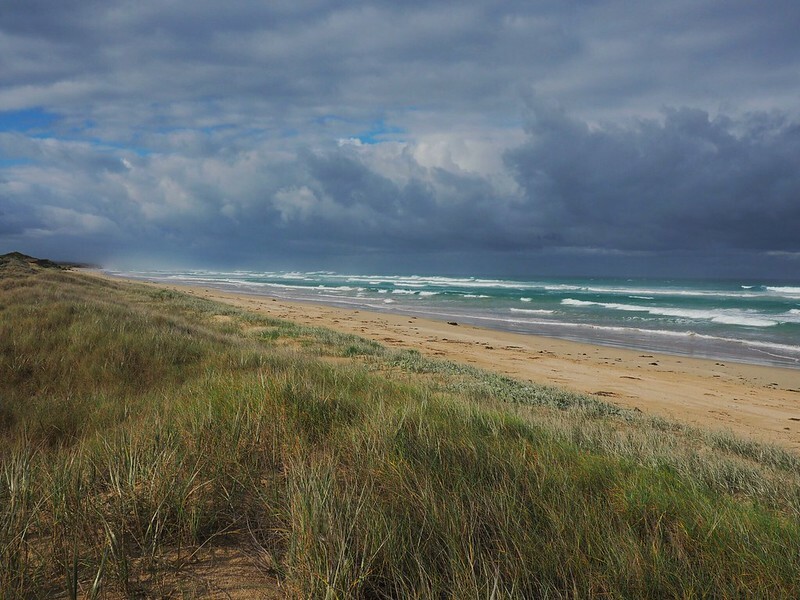 This holiday break I spent a few days walking sections of the Great South West Walk, a trail in south-west Victoria that’s been developed over the last twenty years. We walked bits of it, day-walks and nothing too arduous, but memorable nevertheless. 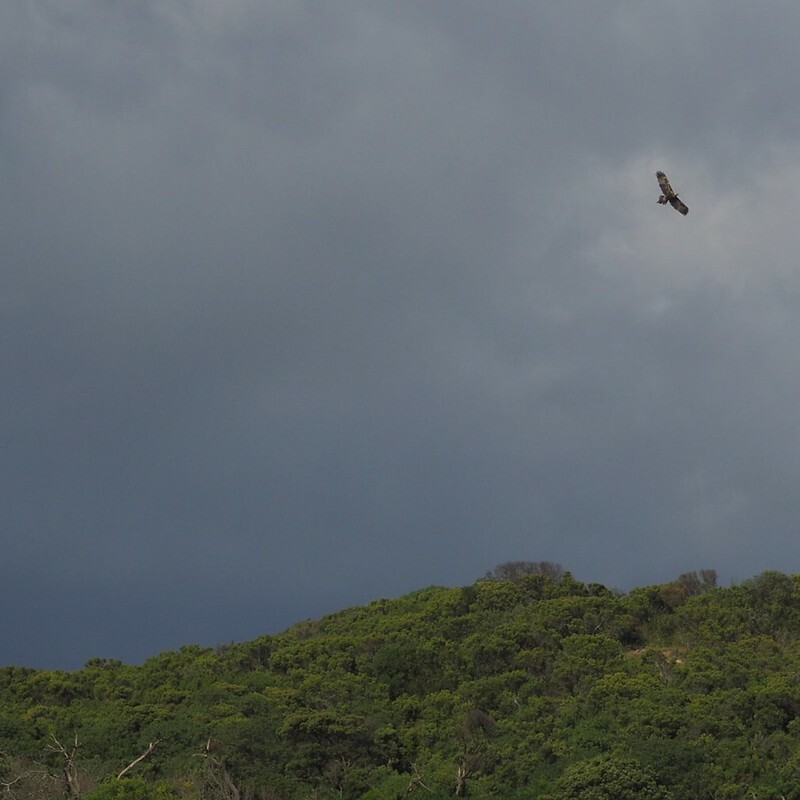 Two things resonate me now that I’m back at home: the site of an wedge-tailed eagle making its way along the dune-line. We stopped and watched for whole minutes. There’s a poem coming, though I doubt I can outdo Hopkins’s The Windhover, which was in my mind over and over as I watched. And, the long walk along the wild ocean beach of Discovery Bay. 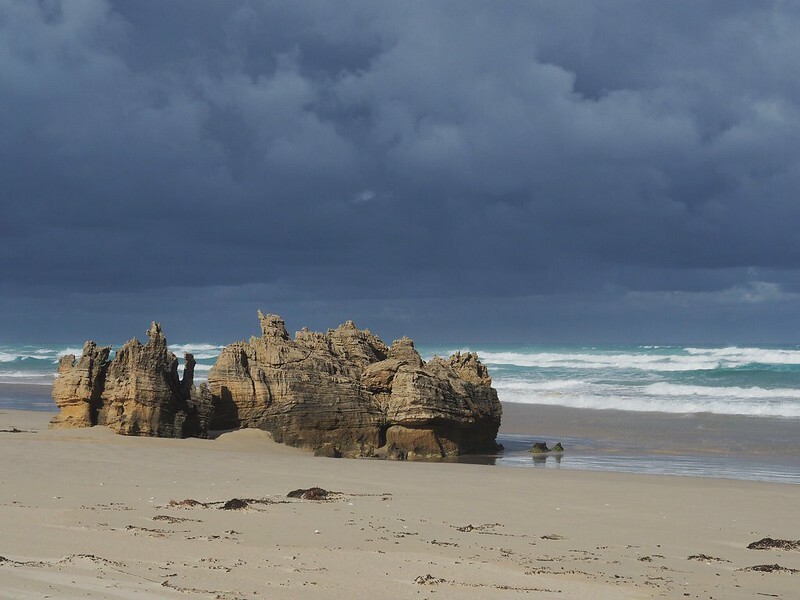 In the distance the sky was getting black and blacker, surely a storm was coming, and the white of the surf became almost luminous. 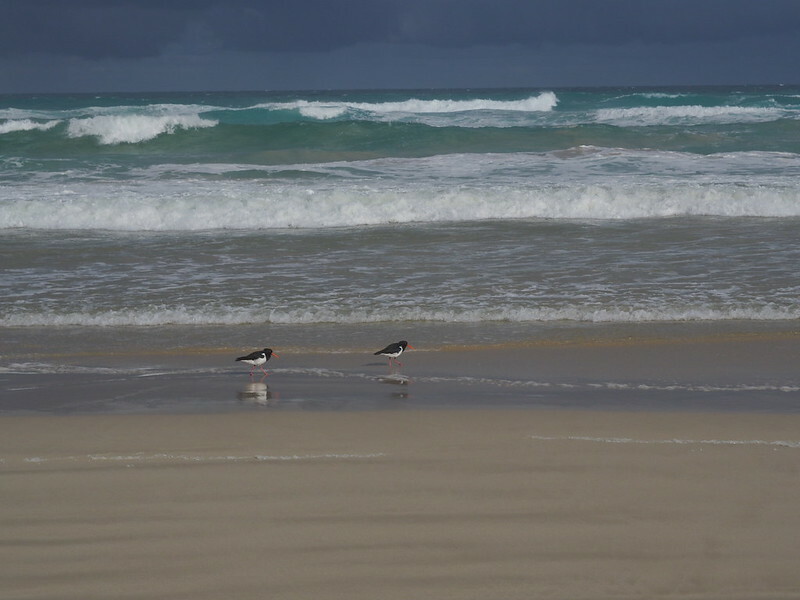 In four hours on the beach we saw no other human beings. Driving back from Beechworth, via Lake Eildon, I passed this scene of stillness on a cold morning on Lake Nillahcootie. I pulled over and grabbed the camera and a moment later another man pulled behind me for the same reason. We had a conversation, mainly about the need to stop and look when you see something special, and then went our separate ways. Here’s a couple of the photos. The trees looked to me like ink on paper, calligraphy of a kind. 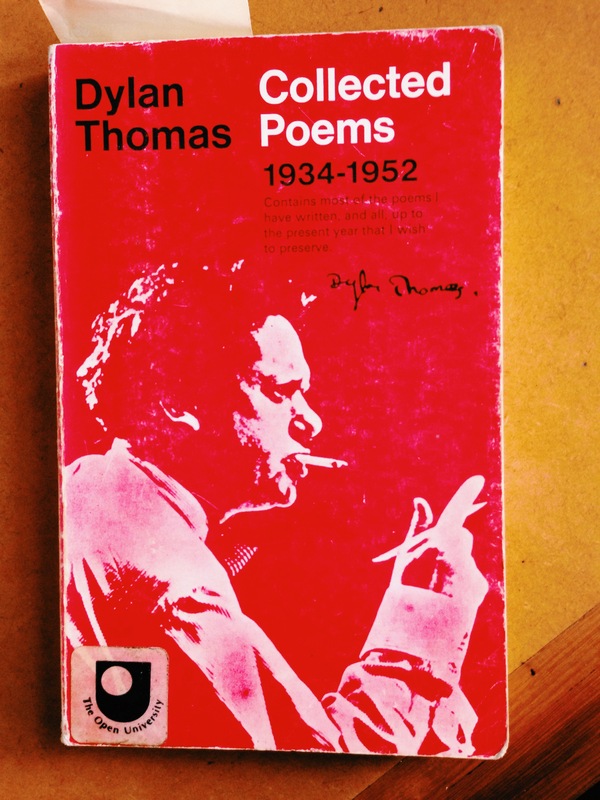 I couldn’t let this year slip away without dedicating something to the Welsh poet, Dylan Thomas, who was born 100 years ago in 1914, and who meant a lot to me when I was a young writer trying to develop my own voice, or grow out of his. Thomas is a bit out of fashion now; that lovable, hard-drinking, hard-partying, womanising? thing looks a bit self-indulgent now, and his poetic legacy remains in some uncertainty; a lyrical poet or someone too in love with the sound of their own voice? Still, for me, some of Dylan Thomas’s poems were always important, and I was drawn to their voice and lyricism as well as the sense of ‘place’ and the sea that has always mattered in my own writing. 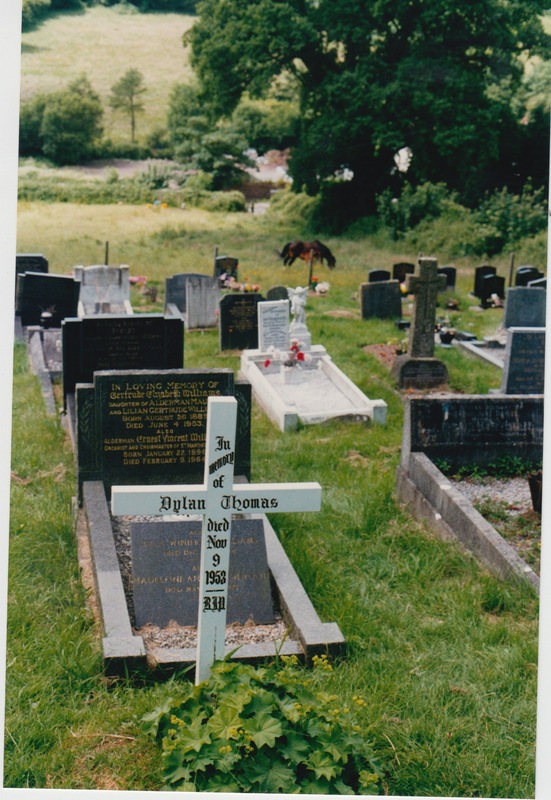 And, in that first literary pilgrimage, that first trip to Europe when the kids were little, Dylan Thomas was firmly on the trail, along with Wordsworth, Yeats, Eliot, Hardy, Austen, Shakespeare and Bronte. We travelled to Laugharne especially: had a pint of Guinness at the local (I did, the kids didn’t!) and then walked up the hill to the The Dylan Thomas Boathouse and the small, humble white cross of his grave. Later, I taught Under Milk Wood to senior students and dragged my tattered old Everyman paperback version of his Collected Poems around with me a lot; I even remember someone asking me what I was doing with a book of poetry at a surfing competition at Bells Beach a one stage. There’s some links below, if you want to read more about Thomas, and below that, one of my favourite Thomas poems, Fern Hill: the text and an audio of Thomas reading that poem. And, I’ve dragged that copy of his Collected Poems out to look at again today too, before the year tilts away. I’ve spent the last five weeks or so travelling, in England and Scotland mainly, doing lots of walking, thinking and some writing. The walking has helped a lot, even though I’ve come back with a sore knee which I think was due to all the steps on Arhur’s Seat. 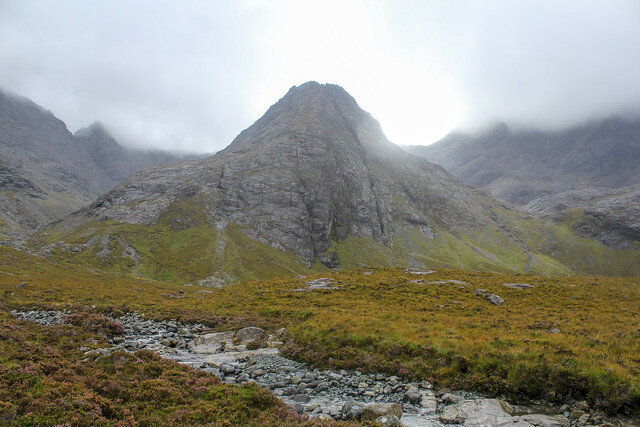 I’ll post some more about this later, but the two most memorable places for me were the Lake District, with its wonderful walking and Wordsworth connections and Skye (see below) for the sheer beauty of the landscape. Walking in nature is refreshing, reviving, consoling and inspiring. And, even if it makes your legs sore, or because it does, so so important.